A dental crown is a tooth-shaped cap that fits snuggly over a tooth, completely covering it. Usually a crown is required to restore the size, shape, strength, or appearance of a tooth. 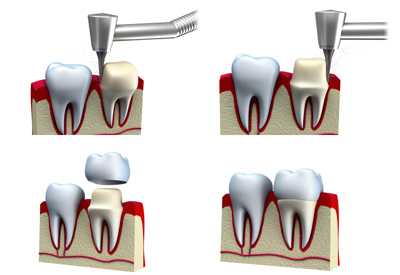 Crowns fix these issues by encasing the visible portion of the tooth that lies above the gum line. If you have a weak tooth (ie: from decay), you may need a crown to prevent the tooth from breaking or to hold together parts of a cracked tooth. Crowns can also be used to cover and support a tooth with a large filling when there is not much tooth left. 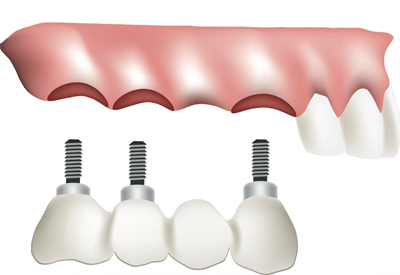 If you have had a dental implant placed, a crown may be used to restore the original function of the lost tooth. Or, you may need a crown to cover a tooth that has had a root canal.